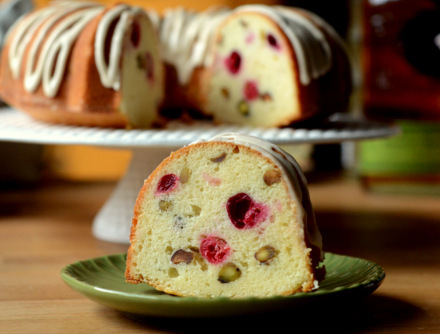 The holiday season is the biggest baking season of the year. Even people who haven’t turned their ovens on in 11 months will still usually bake up a batch or two of holiday cookies! It’s important to have your pantry well-stocked for the season and a Holiday Baking Gift Pack from Rodelle is just what you need to get through all the baking you have to do this month. 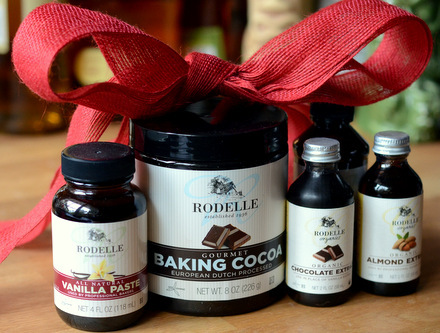 The set includes Rodelle’s new vanilla bean paste, as well as vanilla extract, chocolate extract, almond extract and unsweetened baking cocoa – and I have two gift packs to give away to two lucky readers! To enter the contest, just leave a comment on this post and tell me what your favorite holiday baked good is â€“ whether it is a Christmas cookie that youâ€™ve been baking for twenty years or a coffee cake recipe you just added to your repertoire for holiday entertaining. The contest ends Sunday at midnight (12/14/2014) and two winners will be randomly selected from the entries. Donâ€™t forget to fill in your e-mail on the comment form (it will not be made public), as that is how I will contact the winner, and good luck! monster cookies – a family tradition. thanks! I found a recipe years ago for nutmeg logs, and they’ve been a staple ever since! My favorite holiday baked goods are peanut blossoms. Yum! I love baking so many Christmas cookies! I can’t decide which one is my favorite! Gingerbread men with icing. I could eat those all day long!!! The first cookie I baked after being married a couple of years (40+) yrs ago and I still love it (him too 🙂 ” The Fruitcake Cookie”. 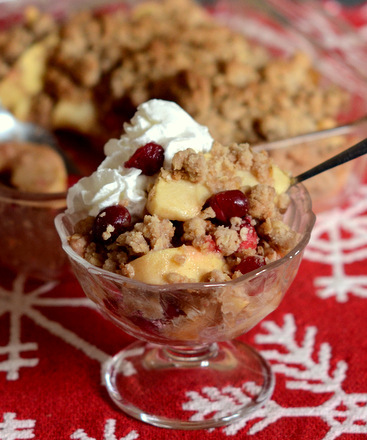 Recipe was published in Family Circle magazine. I still have the original. Sweet memories. I found a recipe for peppermint shortbread last year that combines two of my favorites! Can’t wait to make it again! !